Once home to the local bishop, Brixen combines culture and pleasure like no other town in South Tyrol. The charming paths and glorious buildings steeped in history embody the attractive nature of Brixen's old town. Hotel Elephant recommends to visit the Pharmacy Museum as well as the Hofburg Palace located only five walking minutes from us in the old town. We work closely together with experienced tour guides showing you the whole beauty of Brixen and the Eisack Valley in English language. Please contact us by phone or by email for any further details or for a more detailed, individual offer. Brixen and the Eisack Valley combines culture and pleasures like no other town in South Tyrol. 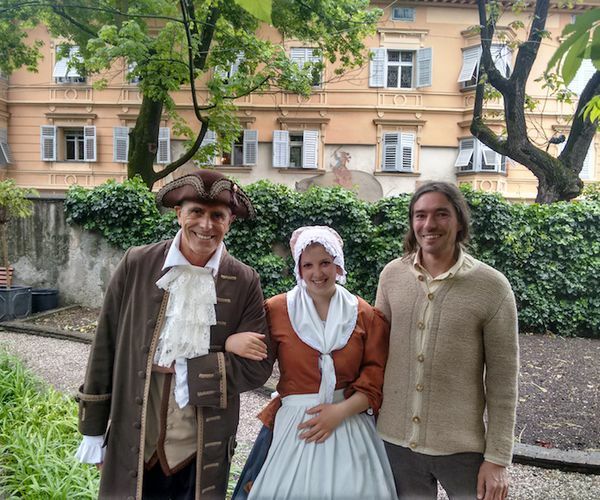 Join us back into Brixen's exciting history: Listen to the most interesting anectodes and stories about the citizens of Brixen in the 16th century. Meet Matthias the town watch or the assistant to the famous painter Leonhard of Brixen who will show you his special elephant painting in the cross-coat. And finally learn more about Emperor Joseph's incognito trip to Bressanone and his mysterious stay the Hotel Elephant. Each Saturday, only in Brixen!